Year-round and current seasonal offerings are always on tap, and Lips of Faith and Hop Kitchen series beers are available upon release. La Folie, New Belgium’s sour flagship, pours on Sundays, and occasionally guests will find a rare or one-off beer as a surprise. Gluten-reduced Glutiny pale and golden ales are available. On tap only at New Belgium and available in Folly Packs through May, RyePA is a hoppy specialty beer brewed with Carolina Rye™, heirloom rye grown in North Carolina and floor malted by Riverbend Malt House in Asheville. RyePA also incorporates rye from Colorado Malting, a fourth-generation family farm in Alamosa, CO. The 6,000 square foot riverside tap room is clad in local artist-made bars, tables and chairs crafted from nearly 14 linear miles of repurposed wood salvaged from the stockyard formerly onsite. A cantilevered deck sits above the new greenway and French Broad River, local food trucks will be on site, and an event lawn will open this summer to host bike in movies and general outdoor fun. The brewery and Liquid Center (LC) campus design is inspired by the flow of the French Broad River, one of only a few rivers in the world that flow south to north. 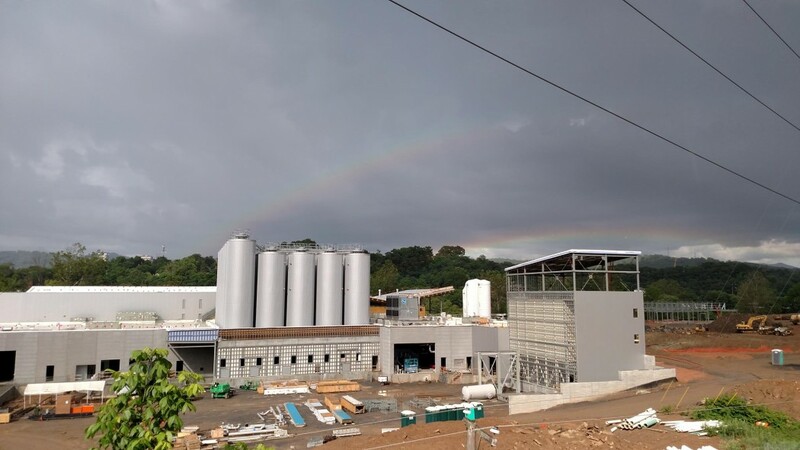 Guests enter the LC on the southern end of the property and when tours start this summer, they follow the flow of the river through the brewing process to packaging at the north end of the campus. An August 27, 2016 CeleBEERation in Asheville, will mark their 25th anniversary and Asheville brewery opening. Tickets will be available at www.NewBelgium.com this summer. Fat Tire Amber Ale and Ranger IPA are flowing from the Asheville brewery to cold boxes and taps on the east coast.